The Fishery Monitoring Branch of NOAA Fisheries’ Southeast Fisheries Science Center has published shrimp landings data from the Gulf of Mexico for September 2018. A total of 10.3 million pounds of shrimp were harvested in the Gulf of Mexico last month, up from 7.3 million pounds in September of 2017, but 21.0 percent below the prior sixteen-year historic average of 13.1 million pounds. No landings were reported in either the west Coast of Florida or Mississippi last month because of an insufficient number of dealers providing information to NOAA. However, shrimp landings in Texas (5.4 million pounds), Louisiana (3.3 million pounds), and Alabama (1.6 million pounds) were all substantially higher than commercial shrimp landings in September 2017 (3.2 million pounds; 2.6 million pounds; and 1.1 million pounds, respectively). Through the first three-quarters of 2018, 72.3 million pounds of shrimp have been caught in the Gulf of Mexico, down from 73.1 million pounds through the first nine months of last year. In total, commercial shrimp landings this year are down 16.0 percent below the prior sixteen-year historical average of 86.1 million pounds. 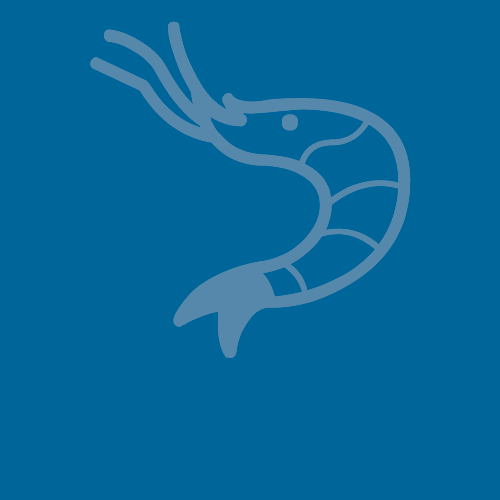 Nevertheless, shrimp landings in Alabama (11.8 million pounds) have been the highest recorded for the state since 2002, when the Southern Shrimp Alliance began compiling monthly landings data. Commercial shrimp landings in Texas (26.9 million pounds) are the highest they have been since 2015 and there has been more slightly more shrimp landed in Louisiana this year (27.6 million pounds) than last year (27.4 million pounds). For the thirteenth straight month, no ex-vessel prices were reported by NOAA for the eastern Gulf (the west coast of Florida). Ex-vessel prices reported for the northern (Alabama, Louisiana, and Mississippi) and western (Texas) Gulf for large shrimp (U15) were significantly higher last month ($9.42 per pound and $9.38 per pound, respectively) than they were last September ($7.78 per pound and $8.70 per pound, respectively). However, for all other count sizes, ex-vessel prices in the northern Gulf were significantly lower than they were in September 2017, while in the western Gulf the ex-vessel prices for all other count sizes were significantly higher than they were last September.